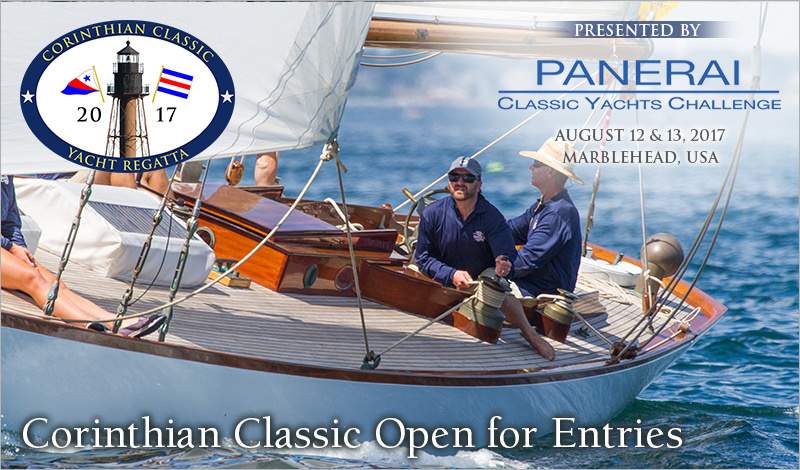 The Corinthian Yacht Club of Marblehead, MA is proud to announce the 2017 Corinthian Classic Yacht Regatta presented by Officine Panerai (www.panerai.com), the title sponsor of the Panerai Classic Yacht Challenge Circuit that takes place in the Mediterranean, Marblehead, Nantucket and Newport. This year's Corinthian Classic (www.corinthianclassic.org) will be held August 12th & 13th. The "Panerai fleet" is open to sailing yachts with a minimum deck length of 28’, made of wood aluminum or steel, designed and built using original methods and materials and built on or before 1970. This event has become a "must do" on the Classic Yacht Circuit. . This is an event you don't want to skip. Start planning now. Instructions to enter can be found on our website at www.corinthianclassic.org.